What is the best heating pad for body pain relief? And why should anyone be interested in thermotherapy in the first place? The application of heat on pain riddled areas of the human body is a tried and tested technique that has been used for thousands of years to help provide relief to patients. A heating pad simply releases extra amounts of heat on a specific area of the body in order to provide magical pain relief. From alternative medicine practitioners to traditional hospitals, thermotherapy continues to provide exceptional results for patients suffering from various degrees of soreness and discomfort. Research has shown that the application of extra heat increases a person’s rate of metabolism which leads to increased blood flow and oxygen supply to the area in question. This inherently wakes up the body’s natural healing and anti-inflammation processes, ensuring that even the most debilitating pain and muscle stiffness is significantly diminished. If you’ve been waking up consistently with severe back, neck, shoulder, or hip pain and nothing seems to be working, it is probably time to introduce this amazing form of therapy into your life. Remember, the best heating pads do not just induce powerful pain relief, they also allow the body to relax, enhancing your ability to sleep deeper and wake-up reinvigorated. Heating pad models come in several brands, shapes, prices, and functionality. This essentially means that finding the right one can be downright confusing, especially if you aren’t sure of exactly what to look for. Here are the critical features to consider when looking for a top heating pad for your body pains. The size is the first feature to consider in a heating pad. They come in 2 main sizes, Regular and King-Size (XL). Regular heating pads usually measure 12” x 15” while King Size options typically measure 12”x 24”. Each size has its own positives so it is up to you to decide what means more for you. It must be noted that King size models cover larger areas at a go but are usually slightly more expensive than their regular-sized rivals. There’s no one-size-fits-all temperature setting that provides pain relief for everyone. Often, consumers have to choose from 3-6 temperature settings depending on their level of pain as well as other personal circumstances. The truth is, a model with more temperature settings simply gives you more options to choose from. 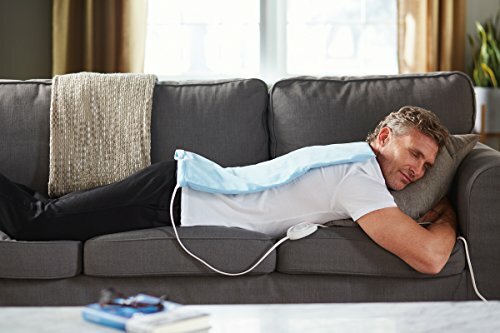 How long does it take a particular heating pad to achieve the necessary temperature to begin providing soothing relief for those painful muscles? Some options heat up in a matter of seconds while others require a bit more time to get to desired temperatures. Be sure to know what you’re signing up for before hitting the order button on a particular heating pad model. It is important to choose a fabric with excellent heat conduction capabilities in order to gain maximum pain relief. Also, make sure the fabric you choose is easy to care for so it can stay in great shape even after extensive usage. Heating pads with Auto Shut-Off automatically go off after a designated period of continuous usage (usually 2 hours). This prevents the possibility of getting burned if you fall into a deep sleep. The downside is that this feature can be frustrating if you want a longer, uninterrupted thermotherapy session. Heating pads require plugging into a power source to work effectively. As such, the length of the power chord should be considered during shopping. A longer chord gives more flexibility to move around your home and change sitting or sleeping positions comfortably. Some models offer wireless capabilities for thermotherapy on the go so keep this in mind when shopping. Heat therapy can provide awesome results for a wide range of soreness and discomfort. If you’re suffering from any of the conditions listed below, finding the perfect heating pad for yourself could be lifesaving. Cancer patients can suffer from severe pain and if you or your loved one is currently battling the “Big C”, it is important to put in the steps to guarantee some pain relief. The use of heating pads is recommended by the American Cancer Society as an alternative form of daily pain management. Thermotherapy has proven to provide significant pain relief for back pain sufferers, according to extensive studies conducted by the American College of Physicians. Increasing the temperature in the back region can be the key towards banishing back pain so no wonder many patients have experienced amazing results. While muscle spasm patients have reported significant relief from the use of heating pads, the use of moist heat has proven to be more effective in pain management compared to dry heat. Make sure to check in with your physician before starting this therapy. Heating pads are very popular among arthritis patients due to their effectiveness in pain reduction. However, it is important to get the green light from your doctor before using heat therapy to gain relief from the effects of arthritis. Fibromyalgia patients are usually saddled with sore tender muscles. The good news is that the application of heat on those muscles can effectively offset the symptoms associated with the condition. 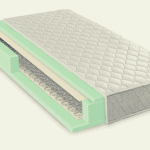 It can also enhance muscle flexibility and eliminate the discomfort associated with stiff muscles, especially if you sleep on the right mattress. Heating pads are engineered for a single purpose: pain relief. If you're looking for a model that helps ease your sore muscles and joints without putting too much of a dent in your wallet, it doesn't get better than than our top 5 picks below. 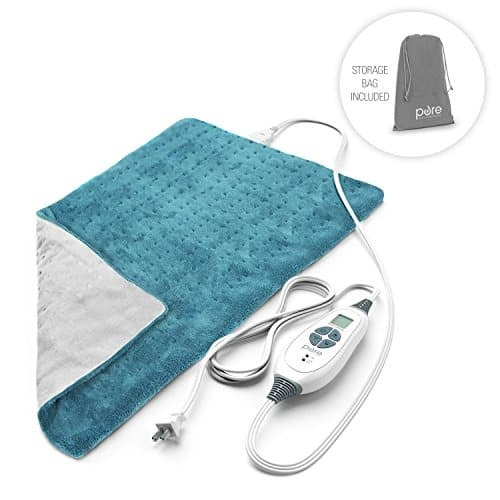 The PureRelief XL is a king-sized heating pad that can be used for the treatment of sore muscles in the abdomen, back, shoulders, legs, and arms. Measuring 12” x 24”, this extra large model allows a larger area of the body to be targeted at once. It comes in a thick micro-plush fiber material which delivers exceptional comfort. This essentially means you can use this heating pad on a daily basis, without ever feeling a trace of discomfort. 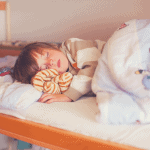 Just arrived home with lingering pain across any part of the body after a hectic day? This model is designed to deliver swift heating so you won’t have to wait unnecessarily to start experiencing pain relief. In fact, it gets fully heated in just a couple of seconds. The PureRelief XL features a digital LCD controller with 6 therapeutic heat settings to choose from. As such, each consumer gets to adjust the heat to his or her comfort level with ease. The PureRelief XL offers a moist heat therapy option for patients with significant degrees of muscle pain which requires deeper penetration for effective relief. It is designed with a built-in 2-hour Auto-Shut-off feature which kicks in automatically. This helps protect you from getting burned in the event that you fall asleep during thermotherapy while ensuring energy conservation. The 9-foot extra long chord is another feature we found impressive because it gives you the freedom to plug in and use the heating pad from the comfort of your favorite couch or bed. My Heating Pad can be a lifesaver whether you’ve been struggling with chronic back pain or you’re an athlete whose daily exertions results in frequent body pains. The good news is that you no longer have to walk into a medical treatment facility each time you need some pain relief. 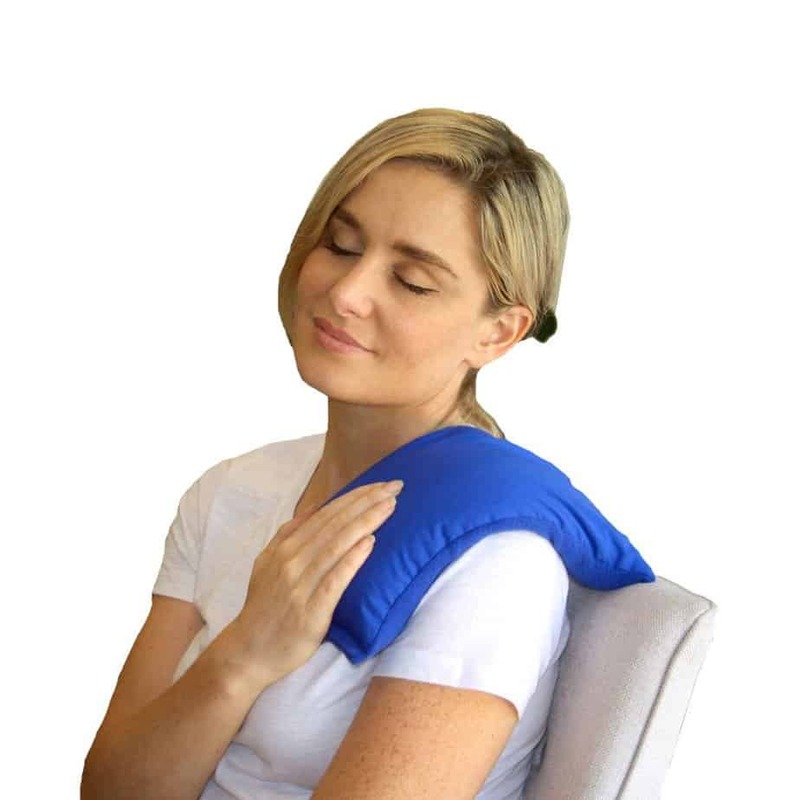 In fact, this heating pad gives consumers the freedom to relax in the comfort of their homes, applying heat to any sore areas to improve blood flow and supply of the necessary nutrients and oxygen for pain elimination. The 2.5-pound weight means it keeps gentle pressure on achy muscles and joints as well as tendonitis and other conditions caused by excessive stress on the body . The fact that it heats up in a few seconds results in immediate relief no matter the degree of soreness. Everyone gets to switch between 6 different temperature settings to settle on the one that best suits their pain at any given time. My Heating Pad is made from a blend of micro mink and polyester materials resulting in an unbelievably plush cover which is not just incredibly comfortable and safe for those with sensitive skin but also very durable. After 2 hours of use, the heating pad completely shuts off to protect the applied area from excessive burning while conserving energy and keeping utility bills in check. Also, the cover material is easy to wash and stays intact even after multiple rounds of washing and drying. 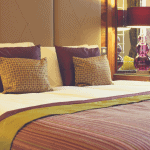 You can therefore expect it to be in tip top shape many years after purchase. The PureRelief XXL helps provide relief from stressed, tired, and stiff muscles and joints so you can live a pain-free life. If you’ve been battling joint and muscle pain for an extended period of time, this could be your lucky break. It provides instant heat which causes increased blood flow to all sore areas, enabling the muscles to relax for quicker healing. Optimal comfort to soothe aching muscles is guaranteed thanks to the 3 built-in temperature settings available to choose from. All you have to do is to flip between the 3 settings to decide which one is most suitable for your comfort. Additionally, each of the body’s unique contours gets maximum contact with the heat, thanks to the soft vinyl heating core. The PureRelief XXL Ultra Wide Microplush Heating Pad is quite flexible, meaning you can easily wrap it around any part of your body or even around your favorite pet. Conserves energy and prevents burns from extensive heat thanks to the built-in 2-hour Auto-Shutoff feature. 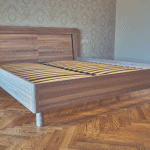 It is especially recommended for lower back pain sufferers because it’s extremely comfortable to lie upon. The size also covers the entire back area for most people. The Sunbeam 756-500 is the best budget heating pad available for sale right now. Powered by the manufacturer’s renowned UltraHeat Technology, each consumer gets maximum pain reduction thanks to its ability to achieve the highest temperature and maintain it consistently. Whether you’re suffering from arthritis, scoliosis, fibromyalgia or any medical condition that causes chronic pain, this model can come in really handy for a more comfortable quality of life. The innovatively designed slide controller sports a large switch and 3 built-in heat settings to deliver your preferred amount of heat for comfort. The pad cover is extra soft thanks to its SoftTouch Polyester Cover material and even more importantly, machine washable and dryer safe. Therefore, nothing can stop you from keeping your heating pad fresh and looking like new many years after purchase. The Sunbeam 756-500 comes with a long chord that offers flexibility of use in multiple positions so everyone can fully relax during thermotherapy to promote maximum soothing relief. Customers get to choose either a 1-pack or 2-pack option during checkout on Amazon. Whichever option you choose, you can be sure that you’ll get the best bang for your buck, thanks to the unbeatable price it is available for. It comes in an attractive Blue color that is super comfortable even for those with sensitive skin. The Sunbeam 732-500 is another king-size heating pad option making lots of waves in the market right now. It is recommended for anyone with a tight purse but looking for a model that comes with high-end features. If you’re suffering from severe muscle stiffness and related problems, this heating pad ships with an absorbent sponge specially designed for moist heat application to provide relief for deep, penetrating pain. With dimensions measuring 12”x24”, the Sunbeam 732-500 Heating Pad covers more area at a go when in use which gives it numerous advantages over regular-sized rival models. 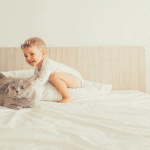 The manufacturer is aware of the need for the heating pad to be washed over and over again throughout its lifetime. This is why the cover material is machine washable and easy to care for. 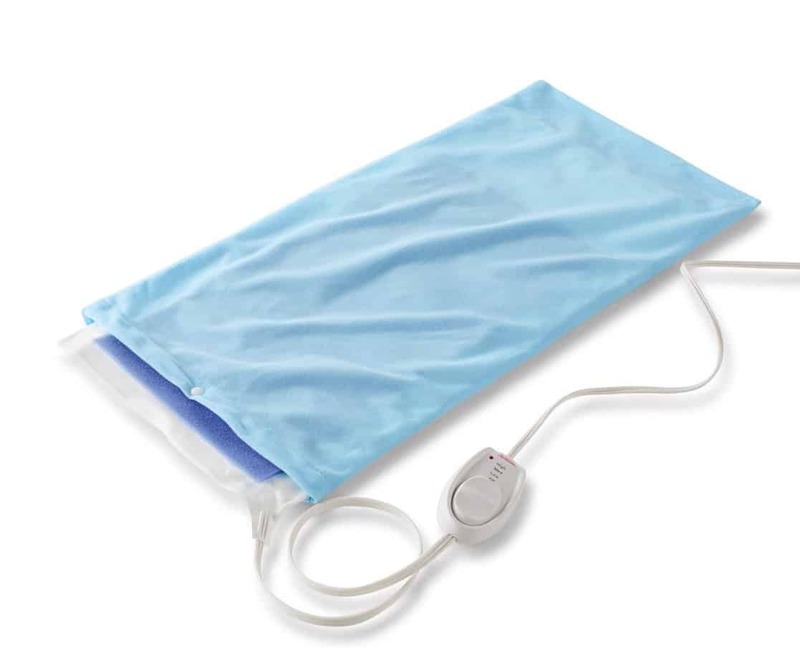 The Sunbeam 732-500 Heating Pad is constructed from a durable and easy-to-wash vinyl pad. This fabric is noted for excellent heat transfer, guaranteeing that pain-affected areas of the body get quick soothing during thermotherapy. While it provides flawless pain relief for anything from menstrual cramps to stomach aches, it is also great for snuggling in bed during the unforgivable winter months. It is pet-friendly and can give your beloved puppy or kitten genuine pain relief as well as some warmth during colder periods of the year.